Wayne is one of the most passionate, innovative, enthusiastic, energetic and experienced sports performance experts in the world. His coaching, thinking and teaching have influenced some of the world’s leading athletes, coaches and teams. He is an inspirational speaker and presenter who is able to educate, entertain, challenge and engage audiences of all ages. 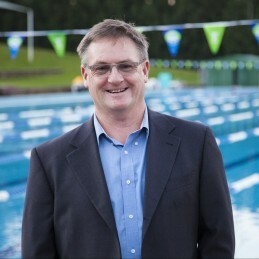 Wayne’s list of clients include a who’s who of Australian success stories: The Wallabies, The Brumbies, North Melbourne AFL, Tennis Australia, The Australian Triathlon Team, The Australian Institute of Sport, The Australian Swimming team and such Corporate leaders as Integrated and MLC. Wayne has worked at the highest level of world sport with clients in the USA, Canada, Great Britain, Spain, Italy, Greece, France, Portugal, South Africa, New Zealand, Singapore and Japan. His written work, over 300 articles, have been published and printed in fifteen countries and in seven languages. Wayne’s ability to solve performance problems and think laterally is outstanding. He has an uncanny capacity to understand the real issues and the culture of any sporting organisation and to identify simple and effective ways of making important changes – quickly and effectively. – Parenting – Particularly Sport and Parenting.